It’s been a couple of months since Verlaine, the latest offering from Select Hospitality & Design, opened in West Hollywood. 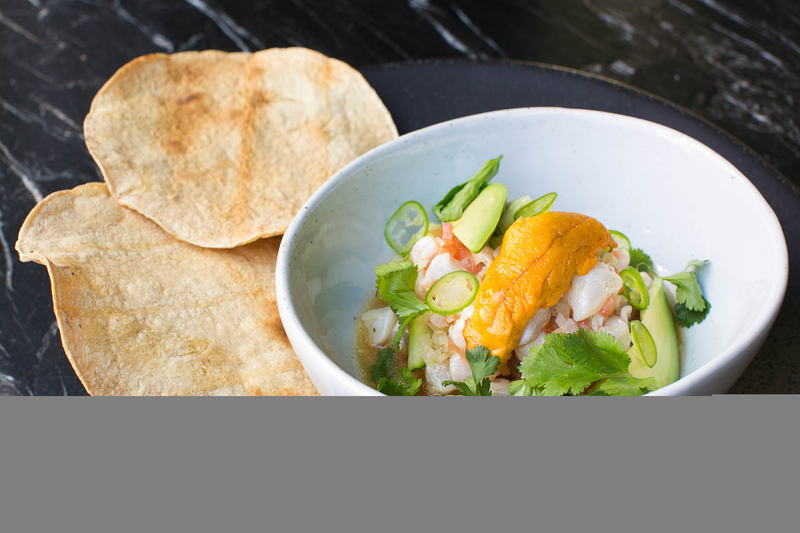 The stylish reinvention of the former Dominick’s space made a splash before the doors even opened, in part because of high profile investors like Joe Jonas and Sean Malto, but more due to the signing-on of a dark horse in the culinary world: Chef Diego Hernández. An almost monastic rebel in global food circles, Diego has become a rising star not for the tableside gland-handing normally associated with celebrity chefs, but for an intense dedication to sourcing the very best in local produce from small growers (including his own farm). 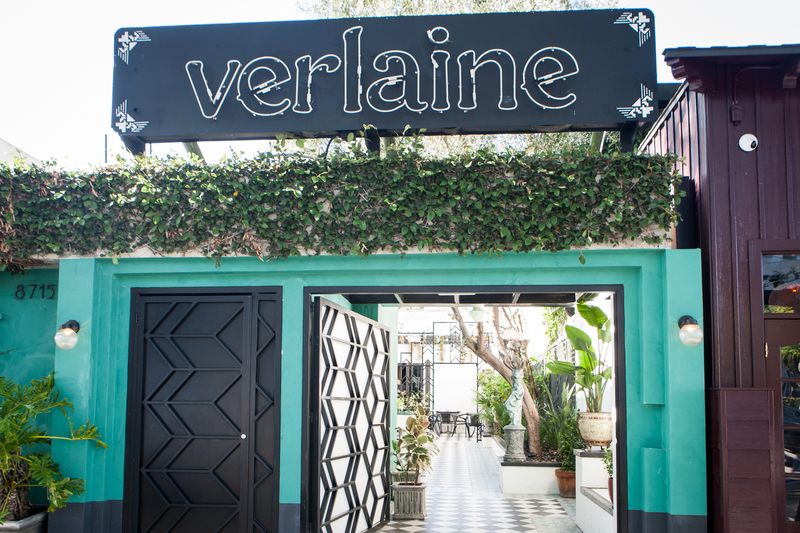 We sat down in the jade and gold colored bar at Verlaine with owners Matthew Hechter and Chris Brandon to discuss the opening of their biggest project to date, how Hernández came into the picture, and what brought them back out to LA after a decade in the Big Apple. Correct me if I’m wrong but Verlaine is the fifth venture you’ve done? Matthew: Yes. And the biggest, double the size and expense of anything else I think. Was that intimidating? If I remember correctly it was the space that came first right? Chris: The opportunity to get the space came first, yes. Is that how most things start now? Someone pitches you or you hear about a space and you figure it out? M: You just charge in and figure it out as you go. Has anything remained from the old Dominick’s? M: The sign. We put it up on the right when you walk in. Still have to put a spotlight on it, but we had to keep it. There are bits and pieces from the old spot, but you have to look closely. How did getting Diego Hernández happen? M: We had been interviewing a lot of people and we were starting to freak out a little bit, because we knew the food would be a massive part of what we were attempting to do here. The intention has always been to be taken seriously as a food restaurant first. It was our publicist, Dan Cox, that told us he might have a guy and that it would be a huge “get” and mentioned Diego. Neither Chris or I had heard of him, many people haven’t in the States, but he’s a hero in Mexico and a lot of chefs around the world know him and follow his cooking. What’s his place in Mexico called? C: Corazón de Tierra in Ensenada wine country. It’s amazing. There’s a hotel attached to it that he’s also partnered in his farm, the winery, it looks like Tuscany! Everything comes from his garden and the menu changes daily. How is what he’s doing there affecting the food he executes at Verlaine? M: I think Diego is exceptional in his understanding of produce. A grape has certain taste profiles when it becomes a wine in large part because of the earth it’s grown in and its environment. We’ve somehow forgotten that applies to vegetables as well. Ideal environments like greenhouses don’t produce the best taste; the plant should struggle a little. C: Diego calls what you find at a lot of purveyors “lazy vegetables.” If a carrot doesn’t work to exist a little, it usually doesn’t taste like a carrot, or not the best carrot. The word “terroir” comes out a lot when describing his food. You started this journey seven years ago with Hudson Clearwater in New York, then The Heyward in Brooklyn in 2014. Much has been written about the “great migration” of New Yorkers to the West Coast. What’s your story? C: I think it all actually started with what we had done with Hudson and the way the neighborhood and even beyond that really embraced it. But we ended up in a law suit with the State Liquor Authority that lasted for years. We finally prevailed, but what happened was so wrong and left a really bad taste is my mouth about what was happening to local businesses in the city. That really marked the beginning of the transition for me. M: New York has changed in a hundred different ways recently. It transitioned from a rental city to a condo one. And that means the people with money have a lot of sway. We were really excited when we opened Hudson. We were put in a category with a lot of restaurateurs we respected, but we were also in a situation where we constantly had to fight a system that felt like it’s almost set up to obstruct what should be a positive addition to the neighborhood. C: We tested the waters out here with Hinterland in Santa Monica, and it just feels like people in LA are really able to embrace a business that is trying to add something to the community. Plus there’s the weather (laughs). What’s next for your team? Anything you can share? M: I think the food industry is changing. The days of full service restaurants seem to be numbered. A lot plays into that, but the overall operational costs to running a business like this is prohibitive if you want to deliver a high-end product and experience. 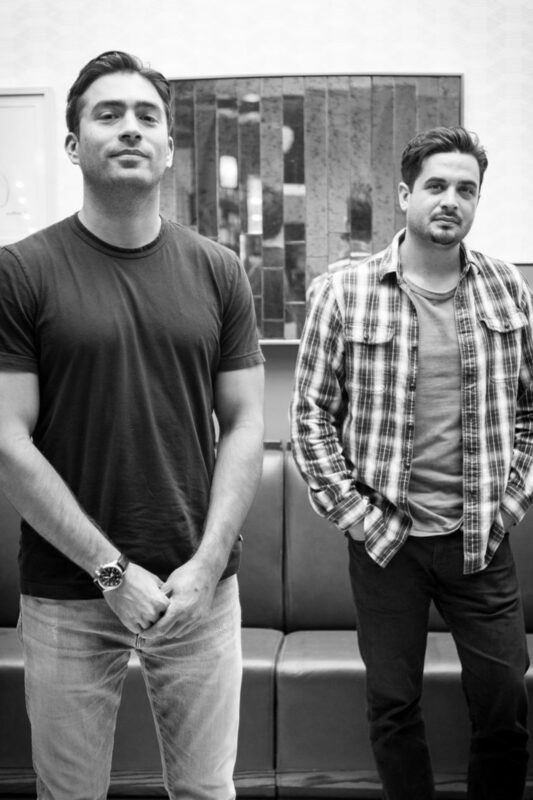 C: The upside is that those challenges have caused a lot of big names in the restaurant game to rethink “fast casual” service and some of the most exciting things in the industry are happening in that space. Entire industries are moving away from a labor-based model that relies on people, and the food service industry is no different. We may not like that but you have to evolve with everyone else. So that is where we are looking next. You’ve already started on that? M: We have a pizza concept that is open in Costa Mesa called “2145 Pizza” that is scalable in that way and doing really well. We also have a lease signed on Santa Monica and Melrose for a coffee/retail concept that we’re really excited about. That’s what we see as the next chapter in diversifying what we do. Finally, if you were to do another restaurant outside of New York or LA, someplace where you could really enjoy yourself, where would it be. M: Well… I wouldn’t open a restaurant anywhere if the goal was to enjoy myself (laughs). I really would keep it small, going back to what we were saying before. I love the idea of a coffee shop in Paris or a simple pizza spot in Tokyo, just three or four things on the menu. We certainly would entertain those kind of things. C: But for now it’s really rewarding to see Verlaine becoming a reality and how people are responding to it. We’re opening for lunch and brunch soon, which is always complex and exciting. And the bar room will be hosting some pretty cool events in the coming months. Verlaine will be home base for a while!